This morning I was scheduled to fly from Mandalay to Yangon at 9:10am on Myanmar National Airlines. The flight is just less than one hour. 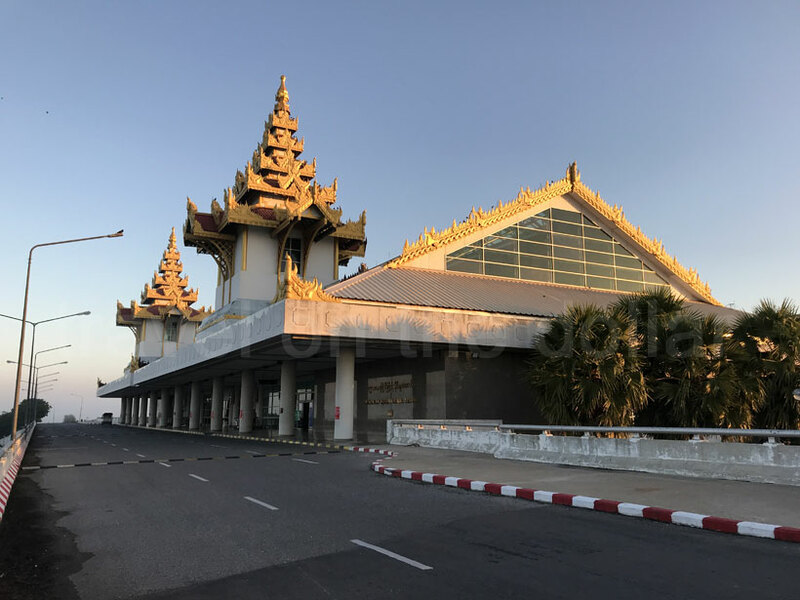 Mandalay airport is about 40km south of the city from the center and even in early morning it takes about 45-60 minutes in a taxi. Standard rate of MMK 12,000 apply to all taxis going to the airport from the city center, although these may vary depending on the time of the day. I had booked a taxi from my hotel at 7am to reach the airport an hour before my flight. Upon reaching the airport, I haggled with taxi drivers to go to Mingalar Bus Station, from where the buses to Kinpun go. Usual rates of the taxi start at MMK 10,000, but depending on your haggling skills, you may find something for as low as MMK 4,000! I settled for MMK 6,000 for a 30 minute ride to the bus station. 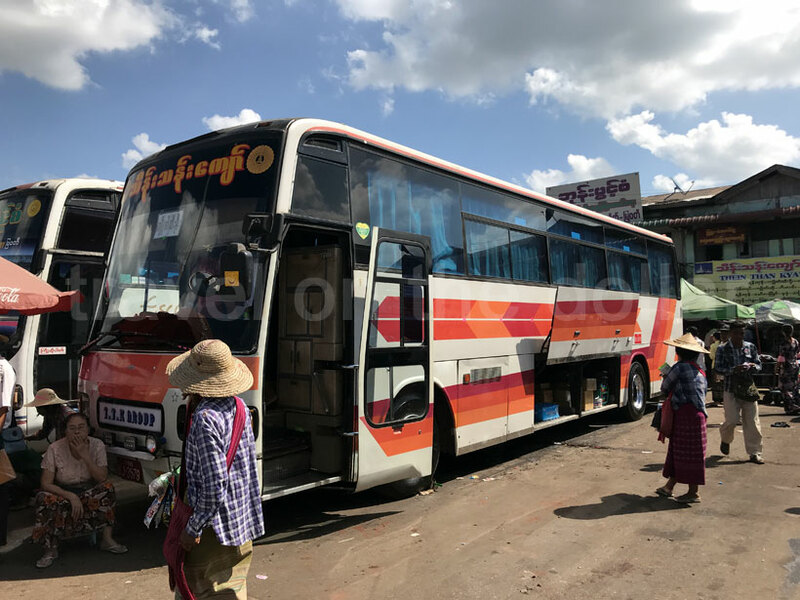 Buses from Mingalar bus station in Yangon to Kinpun run all morning, with the last bus leaving at about 4pm. The frequency is hourly, sometimes 30 minutes. These are luxury buses without any toilet facilities inside. The buses leave on schedule and arrive at Kinpun on time. 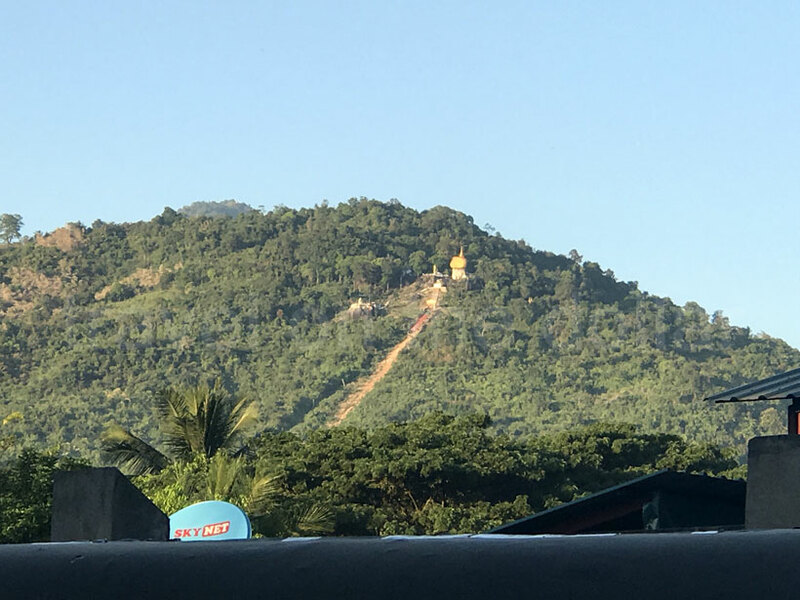 Important: If you are visiting the Golden Pagoda in Kinpun (also knows as Kinmum), make sure to take the bus to “Kinpun Sakhan” rather than Kyakito. A lot of buses go to Kyakito from where you will have to either take another bus or a taxi. 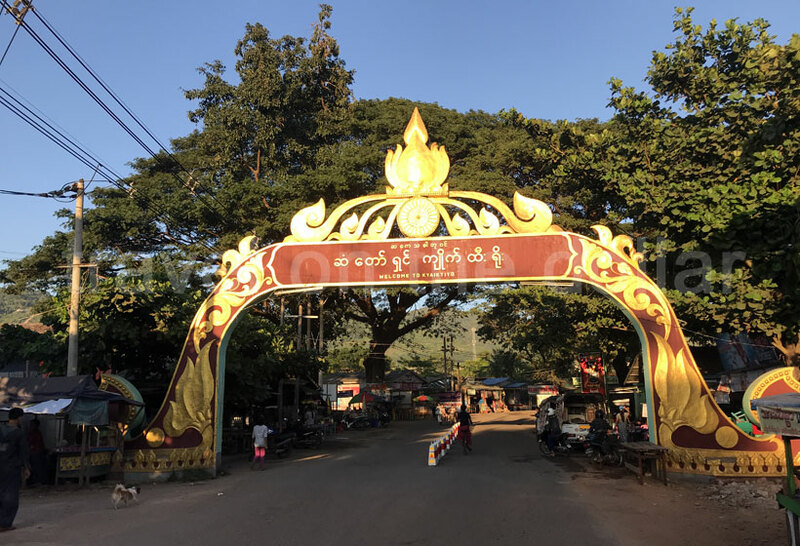 Buses take 4 hours to reach Kinpun Sakhan from Yangon’s Mingalar bus station. My bus left at noon and I reached Kinpun at around 4pm. My hotel was about 5-7 minutes walk before the main town entrance, so after checking in, I headed out for some coffee and a walk around town. Back to the hotel after dark, I had dinner at the hotel and relaxed for the rest of the night.